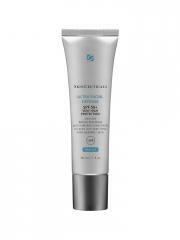 SkinCeuticals Protect Ultra Facial Defense SPF 50+ 30ml is a UVA/UVB broad-spectrum moisturizing sunscreen with Mexoryl. 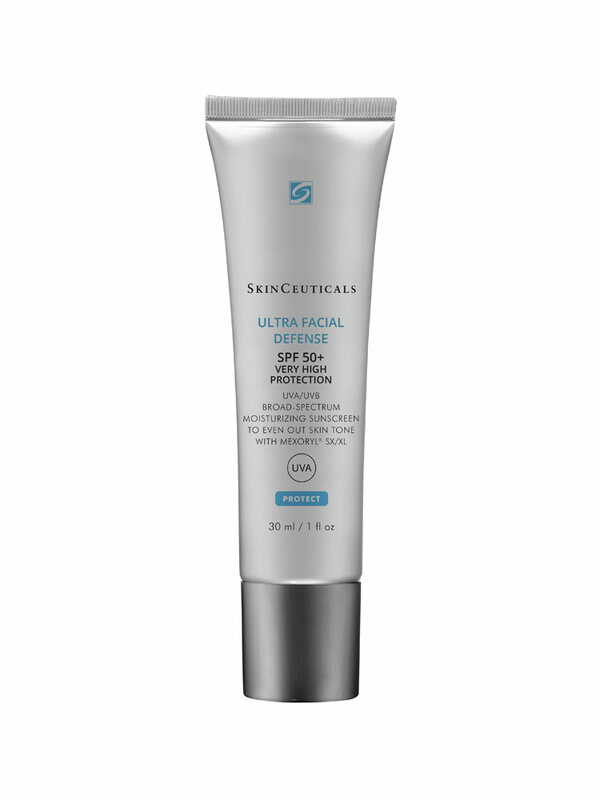 Indeed, this unique care protects the skin against UV rays responsible of premature ageing. Its ultra light and non-comedogenic texture, moisturizes the skin for 24H and is suitable for all skin types. Apply onto the face, neck and décolleté before sun exposure. Reapply frequently and generously. Indication: High sun protection. Face. All skin types. I use this cream on my face and neck every day to avoid dark patches due to sun exposure. My make up goes on well on top of the cream. It spreads well so I only need to use a small amount each day. It is expensive but it lasts. acne prone skin without clogging the pores. Works well under my makeup.